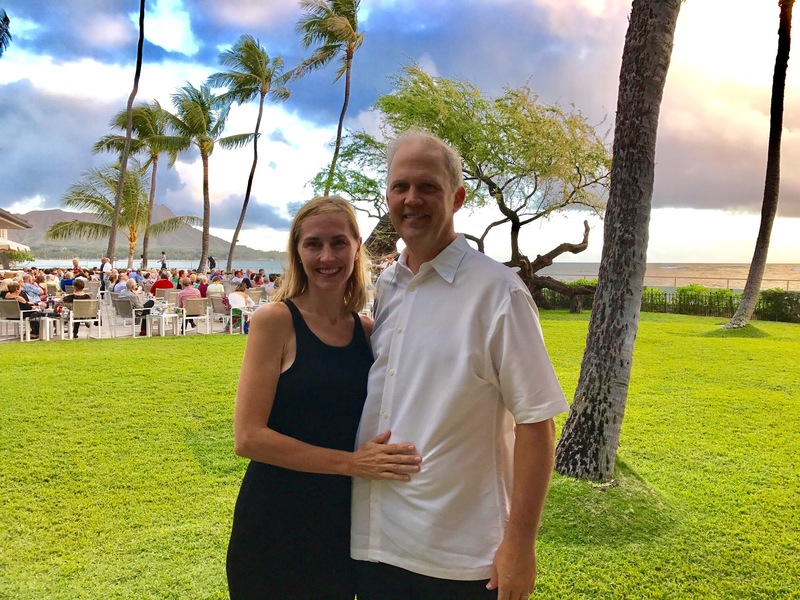 The other night, my sweet husband took me out for a special Valentine’s Day dinner at one of our favorite beachside restaurants in Waikiki (which books up a whole year in advance of the holiday). And, it reminded me how special a meal can be when it’s alongside a spectacular view, like that along Waikiki Beach. The Hau Tree Lanai restaurant beckons back to a time when casual dining wasn't so casual. Back then, and still now, guests can enjoy a light lunch under the hau trees. 2. Michel’s: USA Today gets poetic when talking about Michel’s in Waikiki, “Fabulous French cuisine tempts diners at this elegant oceanside restaurant, making for potent sensory stimulation.” My experience at Michel’s was fantastic — who doesn’t love excellent French cuisine while absorbing While you revel in beautiful views and romantic sunsets? 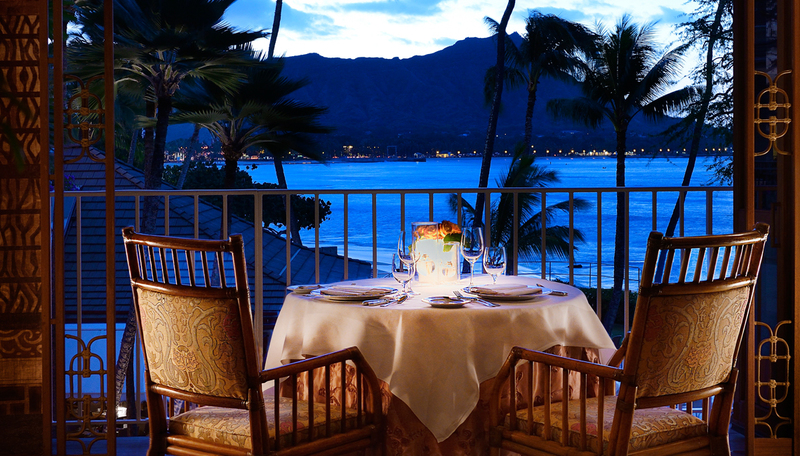 For exquisite French cuisine with a dazzling view of Waikiki, look no further than La Mer at the Halekulani Hotel. 4. Orchids: This is where my better half and I spent this last Valentine’s Day, and the experience reminded me why it’s been one of our favorite restaurants for years. If you’re lucky, you’ll get a table by the lawn, where you can gaze upon not only the beach and ocean, but also the outdoor cafe next door, where live music and hula are part of the ambiance. At Orchids, I never leave without getting some sort of lobster dish, and this time was no different. I had the linguine with lobster, and it was heavenly! 5. Duke’s Canoe Club: Whenever I have visitors in town, I try to take them to Duke’s Canoe Club in Waikiki beacause, to me, the restaurant represents what’s great about Hawaii: Relaxing attitude, beautiful scenery, and great cuisine. When visitors think of having a Mai Tai on Waikiki Beach, I can bet this kind of ambiance is what they imagine! In addition to the great atmosphere, you’ll also find memorabilia, live Hawaiian music, fruity cocktails, and fresh local seafood. The author and her husband, Rob, at Orchids at the Halekulani Hotel on Valentine's Day. Waikiki is the epicenter of Oahu’s visitor industry, and for good reason. It offers incredible outdoor experiences, such as surfing lessons, stand-up paddle board lessons, and parasailing. But, it also offers some of the most outstanding cuisine in the state. So, make sure you reserve at least one meal for beachfront dining in Waikiki!